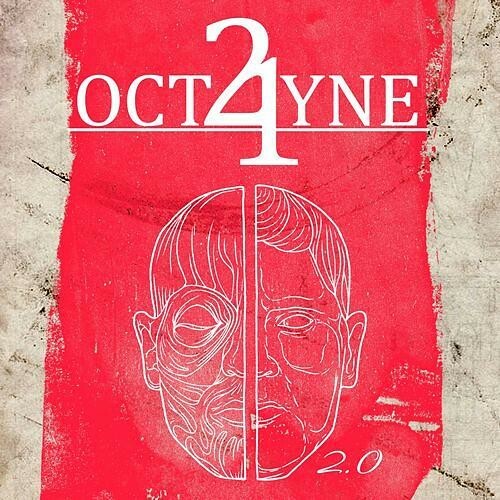 When a new band appears on the scene with such a strong debut as did 21Octayne did with 'Into The Open', the so-called "difficult second album syndrome" can arise. Have the band managed to deliver an equally strong follow-up? The highly-skilled German band have tried to achieve this. Initially, I found the album title a bit lame but having had the chance to speak to guitar-virtuoso Marco Wriedt I realized that there's much more to this record than first impressions suggest and that it's different from its predecessor. '2.0' opens with the single-release 'Devil In Disguise' which comes along as a decent, groovy, upbeat Rocker and starts the album quite strongly. 'Take Me Back' and 'Love's Just A Heartbreak Away' are very catchy without any massive surprises but still quite some cool licks, breaks and even some Progressive elements. 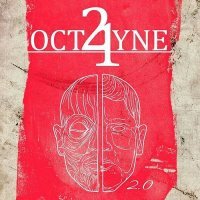 The choruses go straight into one's head, the solos are brilliant and show off the guitar-skills of 21Octayne's musical "mastermind". 'Take Me Away' features quite a Progressive and much darker sound, while the song-writing and the solo (which reminded me of some old Yes classics) are less "predictable" and very refreshing. Yes, they still can! I am also struck with the thought that songs such as 'When You Go' and the sublime Rock ballad 'Lost' (my favourite on the album) show the band as a more innovative Alter Bridge... 'Fly With Me' and 'Tale Of A Broken Child' are exceptional, the latter a ten minute epic Progressive Rock masterpiece. Here the trio (all of them!) demonstrate their finely maturing skills. That one is simply breathtaking and undoubtedly one of the songs of 2015. As a conclusion I have to remark that '2.0' can't really be compared with '...Open', as there has been a huge leap forward in the song-writing and range of styles presented here. They've matured to appeal to a wider range of taste and thus a slightly different audience. Unfortunately as regards the sound, the mix is definitely weaker than on the debut as the drum sound is very tinny and "trebly" and the guitars and vocals could be clearer. But nevertheless, the album is a very fine, sophisticated and well-written, more Modern Rock release. Hagan Grohe, Wriedt and Alex Landenburg are showing a more "radio friendly" face this time but they surely haven't lost their authenticity. Apart from the last two songs we mainly find rather modern, love-related songs without the rough edges and the experimental elements which made the band so very special before. So "radio friendliness" with top-class quality, I'd suggest...definitely a very good follow-up that deserves your attention.